What is Anchor Text and Do I need to Use It? What is Anchor Text and Do I need to Use It? – What exactly is Anchor Text? Here is an example of anchor text within a sentence: Can you spot that this is the anchor text in this example. Yet, as users, we are able to see no more than the clickable area of the anchor text: “this is the anchor text”. Among the main relevancy variables for Search Engine Optimisation purposes is anchor text. Inside the web site page, components such as the meta name, the heading tags, the anchor text as well as the nearby text are components which are perceived as relevancy signals. The anchor text should include key words which are associated with your targeted search terms. To put it differently, your text needs to be keyword-loaded if you want to improve your odds of enhancing your key word positions. For example, let us say that there is a car garage in Blackpool and among the main services they offer is ”Free MOT Check”. It would be prudent on the Home or Index page to put a link to a page that has the title “Free MOT Check” so as when you click on the link for Free MOT Check, it takes you to a new page which gives you more details about this service. If instead you said something like: To get a free MOT check click here. The link will take you to the same page okay, but what information is it telling the search engines or what link juice is it giving? NONE! Whereas the first example has the keywords you want to rank for actually in the anchor text. Don’t use the exact same anchor text a lot of times, as search engines like Google will perceive it as a sign of victimisation because of this crucial phrase. Google supports diversified anchor texts that will describe the exact same thing. In case you merely make use only of the anchor text “Free MOT Check” in your website, then search engines like Google can perceive it as a sign of exploitation. You must make use of varied anchor text, as mentioned earlier, using similar anchor text like “This Month Only Get An MOT Check Free”. Just mix it up a bit or use similes, etc. 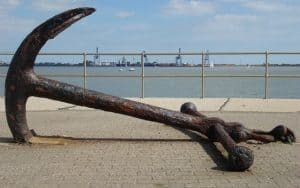 Using anchor text for back-links to your website is a different kettle of fish entirely and I have a post about best practices for that as well. Hopefully you found the article helpful on What is Anchor Text and Do I need to Use It. You might be interested in reading these pages too: What Should I Put in My Robots.txt File and Best WordPress Theme Fastest Page Speed. I have run my own businesses since the 1980's and I have always tried to go for niche type businesses and sectors, rather than so called main stream. This has included Quantity Surveying, Mobile Phones when they first came out and now Finance and SEO. I love the challenge of ranking website pages in the search engines!